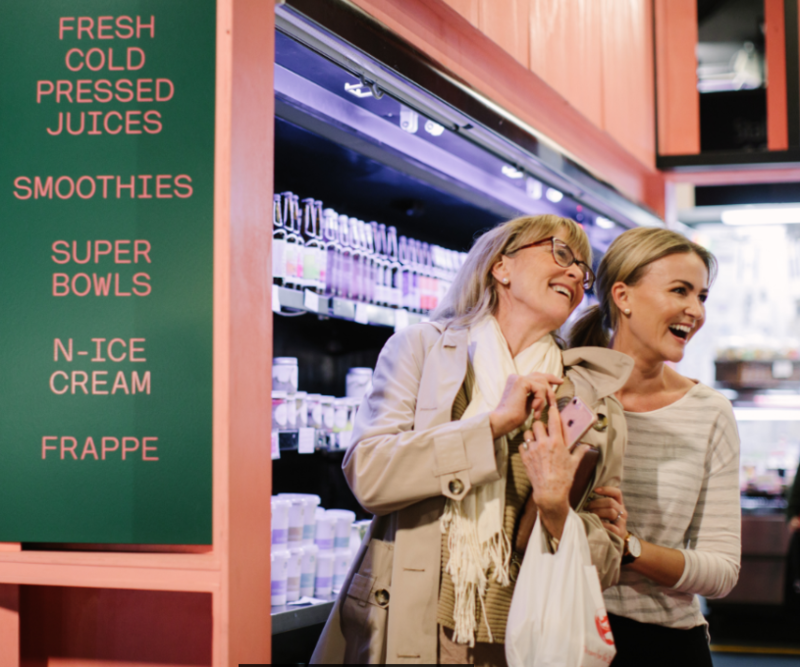 Your Sustainable Snacks (in collaboration with SLOW Saturday) - Adelaide Central Market: The City of Adelaide's premier food destination. Over 70 traders under one roof. Aubergines is family-owned and managed and the team pride themselves on offering quality fresh produce at affordable prices… Seasonal fresh fruit is delicious and nutritious! You can’t miss the vivid pink walls of JAMU. Only a year young, the team have created a health and wellness hub within our Market. You can grab a vast range of healthy snacks on the go including chia puddings, raw treats and cold pressed juices. If you have time, take a seat up on the bar and enjoy one of their moreish smoothie bowls… perfect for Instagram! The Coffee Bean Shop is responsible for the delicious aroma of fresh coffee you can smell throughout the centre of our Market. The team make an incredible brew, using fresh coffee beans delivered to the stall on a daily basis from their roasting facility here in South Australia. You can opt to take a seat, or take away. Freshly roasted right here in our Market, Adelaide Nut have a huge range of nuts and dried fruit. Grab a bag to graze on throughout the day for a moorish snack. Hot tip: try their incredible locally grown roasted almonds! Feast your eyes on the incredible display of freshly baked pastries! Choose from classic favourites including almond croissants to zeppoles and specialities cakes – the perfect treat for any sweet tooth! The Central Market Yoghurt Shop has a winning combination of strained Greek yoghurt topped with delicious and fresh toppings.. with over 20 different varieties to choose from!